KHARTOUM, Sudan – A Sudanese woman who was sentenced to death by hanging for refusing to convert to Islam has given birth in prison, reports state. The court had also ruled that after Ibrahim gives birth, she was to receive the 100 lashes, and would be permitted to nurse the child for two years before the execution would be carried out. On Tuesday, Ibrahim gave birth to a baby girl in the hospital wing of the prison, who she named Maya. 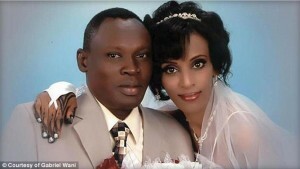 According to reports, Ibrahim’s husband sought to visit his wife and newborn daughter in prison, but was not allowed. In the meantime, international human rights groups are decrying Ibrahim’s sentence, which is now on appeal. “The fact that a woman could be sentenced to death for her religious choice, and to flogging for being married to a man of an allegedly different religion, is abhorrent and should never be even considered,” Manar Idriss of Amnesty International told reporters. Over 60 percent of Sudan identifies as Muslim, and the nation’s president, Omar al-Bashir, also an adherent to Islam, seeks to enforce Sharia law. “Conversion from Islam is a crime punishable by death, suspected converts to Christianity face societal pressures, and government security personnel intimidate and sometimes torture those suspected of conversion,” reads a report written by the U.S. Commission on International Religious Freedom.